Aupeo! 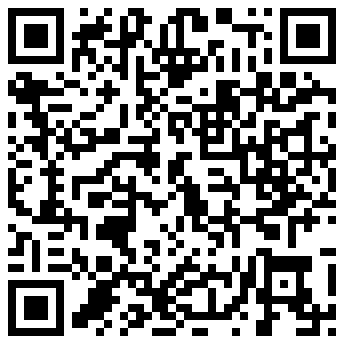 is now packing a punch on Windows Phone and released an app on the Marketplace last week. The app enables users to listen to over 120 pre-developed stations, which cover a range of genres including pop, rock, R&B, heavy metal, country, techno, classical, and punk. 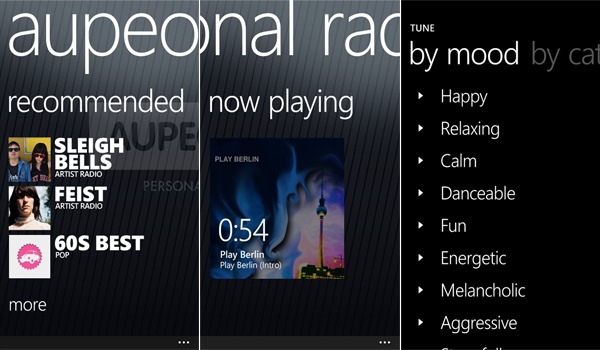 Stations that follow a specific theme, genre or music mood can also be selected. In addition to the above stations, users can tune into 'artist stations', which (as the name suggests) plays music related to a particular artist. Aupeo! supports a mood tuner that provides stations based on musical mood - happy, relaxing, aggressive, dramatic, stressful, etc. The service is ad-supported, with a premium version available which removes the adverts and includes higher quality music among other features. But the best part is you're not required to sign up to get cracking, unless you want personalisation, etc. The Windows Phone app sports the same functionality, and users can access their favourite stations and the personal radio through logging in and connecting their Aupeo! account. Much like Last.fm, Aupeo! provides users with 'love' and 'ban' options to allow the service to learn and adapt to individual listener tastes. Stations can be pinned to the home screen for more convenient access and a sleep timer is included for those who enjoy falling into blissful dreams chilling out to Ramstein. It's a well designed app, and one we believe is well worth checking out. If you're a music fan, but don't quite enjoy Spotify, Zune, Last.fm and the other services, Aupeo! might be just for you. With their added Windows Phone support, it's a perfect opportunity to test it all out.